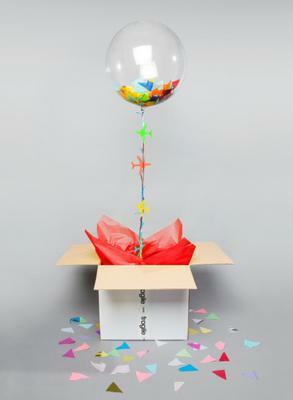 How do you stuff a deco bubble 20" with tissue shapes / confetti without bending or creasing the tissue? Is there a stuffing machine for this purpose, or a technique for filling the balloon easily? Not sure if there's an easy solution to do this. 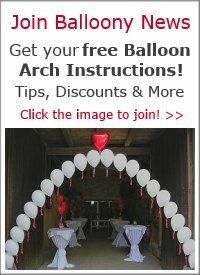 Filling balloons manually is always a bit tricky. 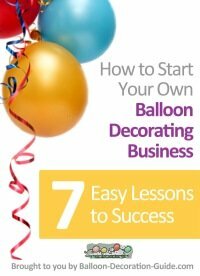 You could use a small section of drain pipe and stretch the neck of the large balloon over it, then fill in the confetti or tissue. 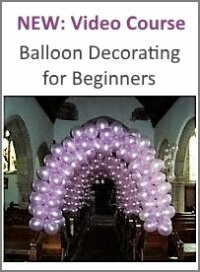 I've written more about how to stuff balloons here. Buying a balloon stuffing machine would only make sense if you plan to sell stuffed balloons professionally. These machines are rather expensive. 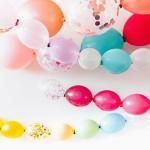 If you are interested, read my page about the most popular balloon stuffing machines. At the bottom of the page is a list of current deals with both used and new machines.